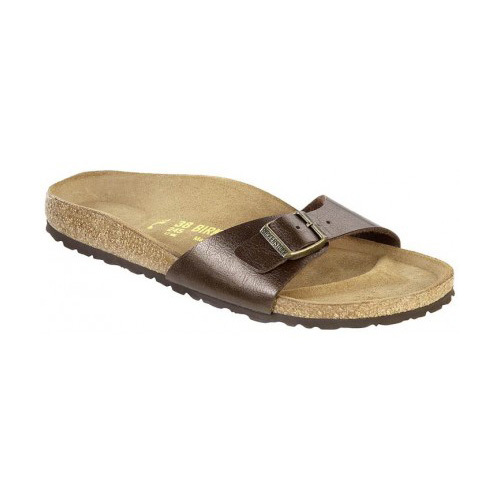 Slip into total chill mode in the soothing Madrid sandal from Birkenstock®. Birko-Flor™ upper is made of acrylic and polyamide felt fibers. 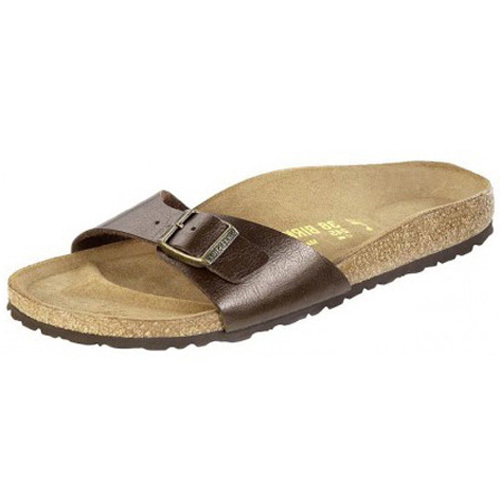 Slip-on with an adjustable buckle strap for easy on and off.